The nonprofit previously has run ads targeting several state senators who have had policy disagreements with the Republican governor. Greitens' official campaign report shows that he has about $2.38 million in the bank. Most of that money was raised before Amendment 2's new state campaign-donation restrictions were put in place Dec. 8. 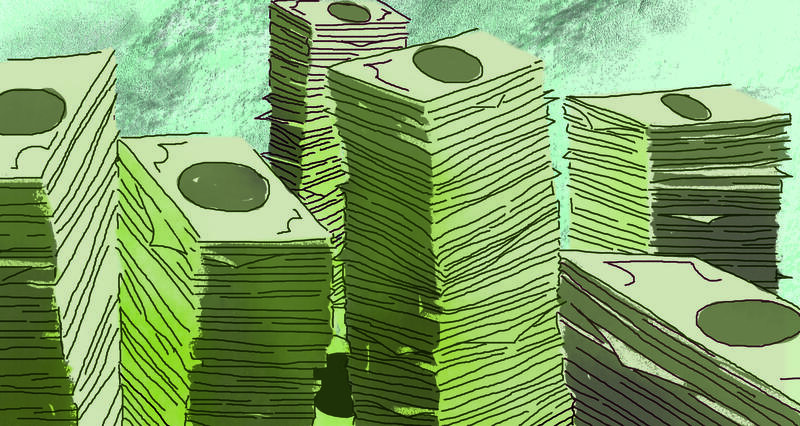 Under the constitutional amendment, donors can give no more than $2,600 per election to officials and candidates for statewide and legislative offices. The restrictions don't apply to local and regional officeholders such as St. Louis County Executive Steve Stenger, a Democrat who is seeking re-election next year. He reported nearly $1.7 million in the bank, after raising $302,000 during the past three months. Also running is Missouri state Auditor Nicole Galloway, a Democrat who is a prime Republican target. Her campaign bank account has just over $514,000. Galloway raised nearly $160,000 since April 1, a moderate sum that may encourage Republican rivals. One potential opponent — state House Speaker Todd Richardson, a Republican from Poplar Bluff — reported $294,000 in the bank. He raised only $3,500 during the past three months. All Missouri officials and candidates were required to file campaign finance reports by Monday's 5 p.m. deadline. In Illinois, the campaign-finance reporting deadline was 11:59 p.m. Gov. Bruce Rauner, a Republican, faces a crowd of Democratic rivals who already have declared their candidacies for next year’s contest. Chicago Alderman Ameya Pawa, $229,000. Political pundits and experts already predict the 2018 Illinois governor’s race could be among the most expensive in the country. Raumer, who is wealthy, is expected to use his own money to pay for much of his campaign, just as he did in 2014. In Missouri, next year’s marquee contests likely will be for state auditor and the U.S. Senate. With the 2018 election more than a year away, the most important figure in those reports is the amount candidates have in the bank. Their chief task this year is to raise money, and spend as little as possible to ensure that they are well-funded during the campaign. 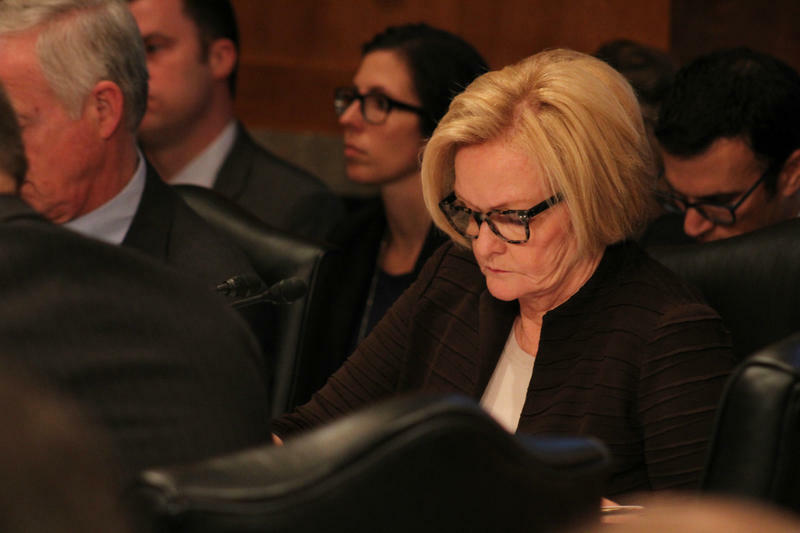 U.S. Sen. Claire McCaskill, D-Mo., whose campaign-finance report was due Saturday under the federal rules, reported $5.1 million in the bank. She provided copies of her official summary documents last week to St. Louis Public Radio. One of her potential GOP rivals, Missouri Attorney General Josh Hawley, filed his report Monday showing a bank balance of slightly less than $1 million. But Hawley cannot use any of that money for a Senate bid, because of the different campaign-finance rules for Missouri and Congress. For the most part, Missouri statewide officials not running for re-election in 2018 have raised little so far this year. State Treasurer Eric Schmitt, a Republican, reported raising only $5,541 during the past three months, but has $214,166 in the bank. Schmitt has been encouraged to run for the Senate. But if he decides to run, he cannot use money from his state campaign. Secretary of State Jay Ashcroft, a Republican, collected only $3,275 in the last three months and has $129,000 in the bank. Lt. Gov. Mike Parson, also a Republican, reported a bank balance of $13,404. Rep. John Shimkus, Republican from Collinsville, $1.08 million. 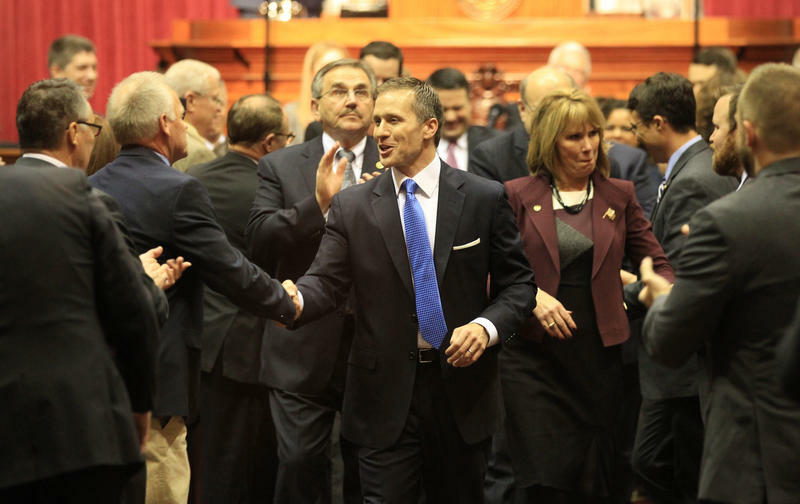 Eric Greitens, author and former Navy Seal, has yet to officially announce whether he’s seeking Missouri’s Republican nomination for governor in 2016. But St. Louis-based Greitens already has collected at least $1.4 million in 2015 in large donations of more than $5,000 apiece. His largest monthly haul -- $540,000 – was in June. 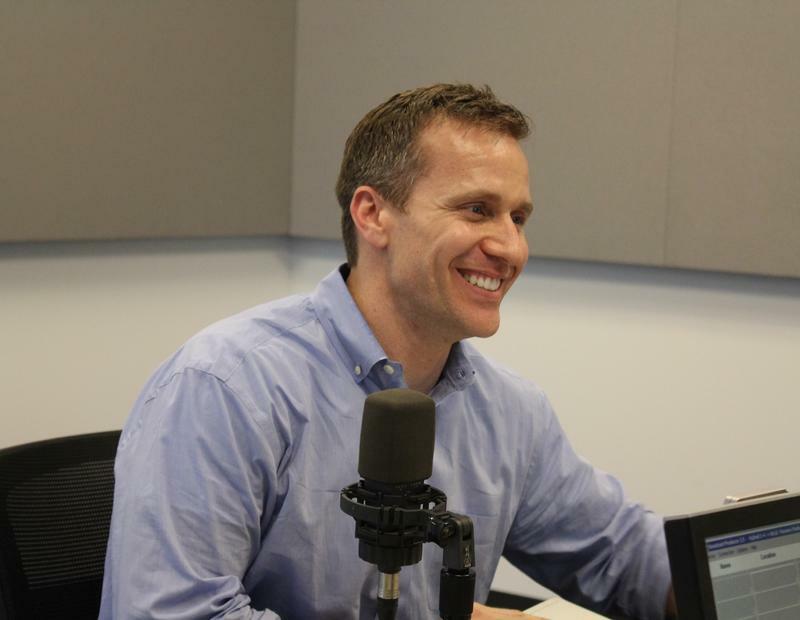 So far this year, Greitens has been Missouri’s undisputedly biggest recipient of large donations. U.S. Sen. Claire McCaskill still doesn’t know who she’ll be up against in the 2018 midterm elections. She’s ready for the fight, however, having banked a little more than $5.1 million. That’s almost twice the size of her campaign fund in July 2011, which was the last time she was preparing for a re-election contest.